The actress was born in Kiskunfélegyháza. Her style was called by herself as surrealist painting. Her style was named as surrealist by herself. In 1958 and 1971 she was rewarded Munkácsy-prize, in 1973 Worthy Artist Prize, in 1982 the Kossuthprize. She was elected as a freewoman of Kiskunfélegyháza town in 1998. The exhibition is situated in the courtyard of the prisonhouse of the former Kiskun Police Station. 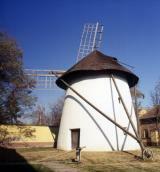 Visitors can see the relics and pictures of the torture devices of the 15th-17th centuries. The methods and tools of capital punishment is also demonstrated. In the 17-19th centuries the convicts were emprisoned in work houses and behaviour-correcting institutes. The oldest relics - of the prehistoric age - have been found near Félegyháza. The area was inhabited in the bronze age and at the time of the Celts as well. Sarmata and Avarian finds were also discovered during excavations. 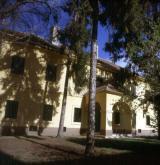 The Kuns were settled in the Kiskunságban by Béla IV. in 1239.